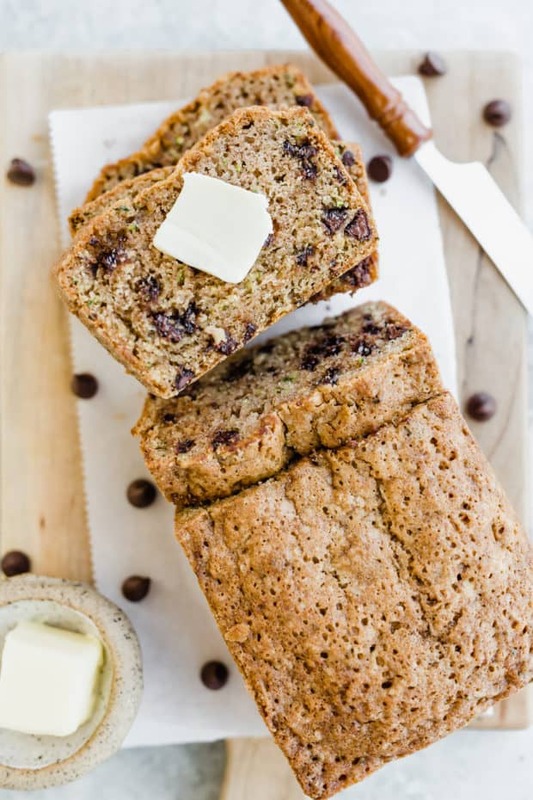 This moist Chocolate Chip Zucchini Bread is loaded with freshly grated zucchini and chocolate chips! 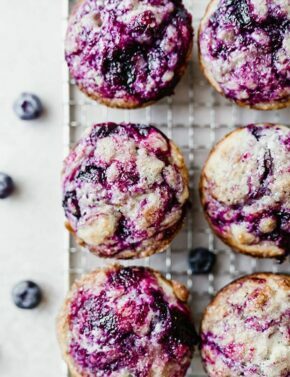 It’s perfect for breakfast, dessert, or mid-day snack! Thank goodness for zucchini bread! Who came up with this concept anyways? 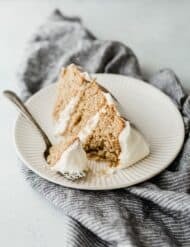 Hiding vegetables in a sugar-based quick bread recipe?! It’s genius. We’ll tell ourselves anything to take away the guilt of over-indulging on too many slices of chocolate chip zucchini bread, amiright?! I may or may not have eaten 3 slices of zucchini bread while taking these photos. Luckily this recipes makes 2 loaves! ? 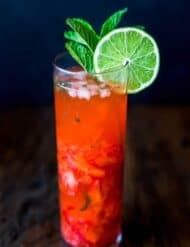 This recipe is my mothers. 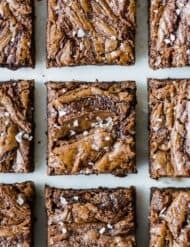 She has been making this chocolate chip zucchini bread for YEARS! It’s the perfect way to use up fresh or frozen zucchini. In separate bowls, combine the wet ingredients and the dry ingredients. Add the dry ingredients to the wet ingredients. Mix the batter until combined. Don’t overmix. 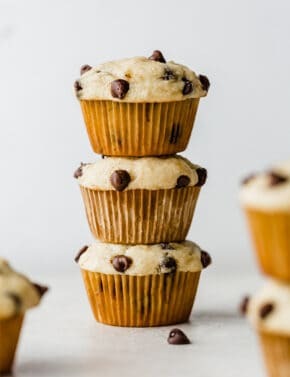 Toss the chocolate chips in flour to prevent them from slipping to the bottom of the bread pan. Fold the chocolate chips into the zucchini bread batter. Divide the batter evenly among the 2 loaf pans. As usual, lets go over a few common questions that are associated with making zucchini bread. I like keeping the zucchini’s skin on. (Pictured above). However, there isn’t a right or wrong way. You can peel the skin or keep it on. It’s up to you! Can you freeze fresh zucchini? Yes. In fact, My Kitchen Addiction goes in depth about this topic. 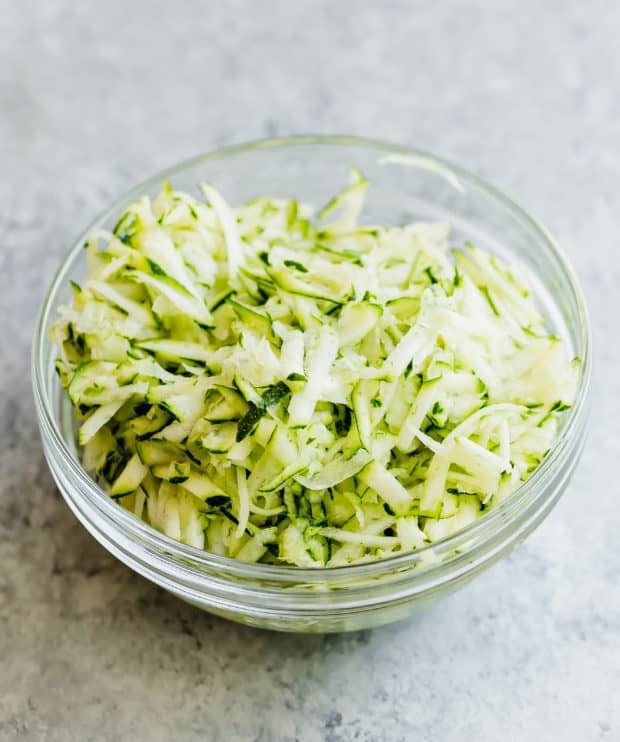 Essentially, to freeze freshly grated zucchini to make zucchini bread, begin by using a box grater to grate the zucchini. Once the zucchini has been shredded portion out the zucchini and place the grated zucchini in a freezer safe zip top bag. Be sure to label the bag with the date so that you can keep track of how long it has been in the freezer. Freeze for up 3-6 months. Technically it lasts longer than 3 months. I’ve used frozen zucchini that has been in the freezer for 1 year and the zucchini bread still turned out great! Just be mindful that the longer you keep it in the freezer the greater chance freezer burn can affect the flavor and texture of the zucchini. 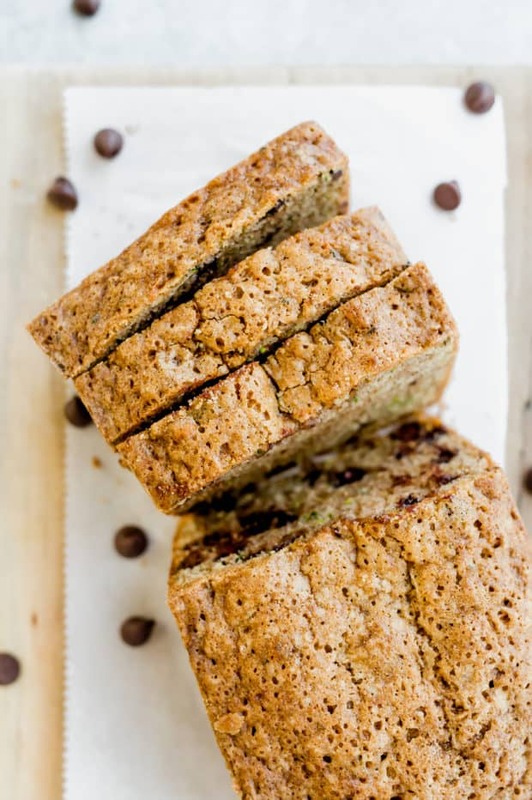 Can you use frozen zucchini to make zucchini bread? Yes. I’ve done this many times! I grate the zucchini, measure out 2 cups and then place it in a zip top bag. 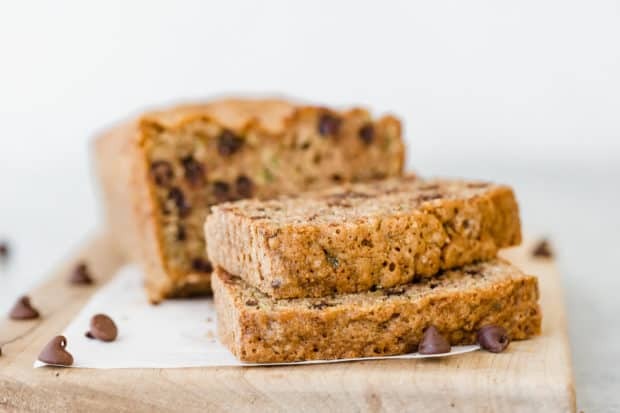 When ready to use for zucchini bread, simply thaw the frozen grated zucchini, drain excess liquid, and use as recipe describes. Simply toss the chocolate chips in a little flour. This will help suspend them in the batter. 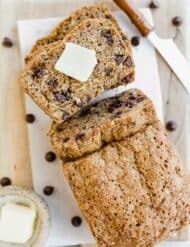 Reserve a handful of chocolate chips to sprinkle overtop the zucchini bread batter once it has been placed in the bread pans. Don’t over mix the batter. Overmixing leads to a tougher bread. Before removing the bread out of the oven, make sure it is fully cooked. If the bread is undercooked it will sink in the middle. 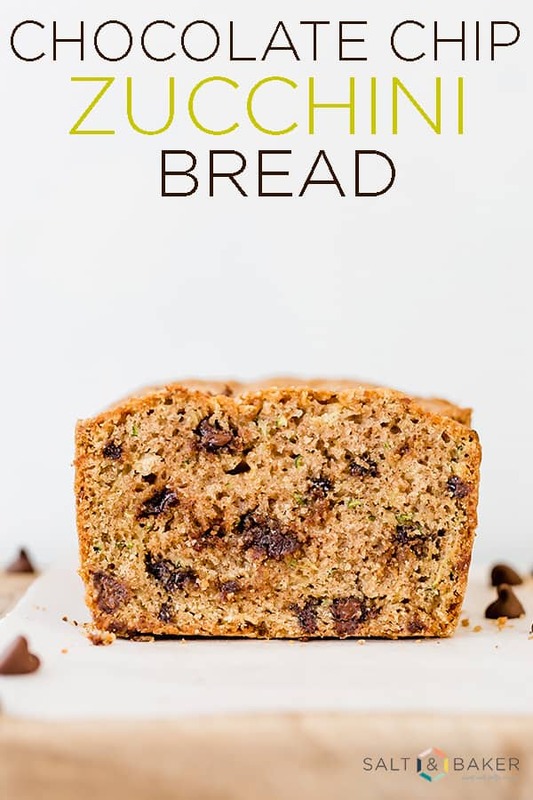 Next time you have spare zucchini laying around, be sure to make this chocolate chip zucchini bread! It’s perfection! 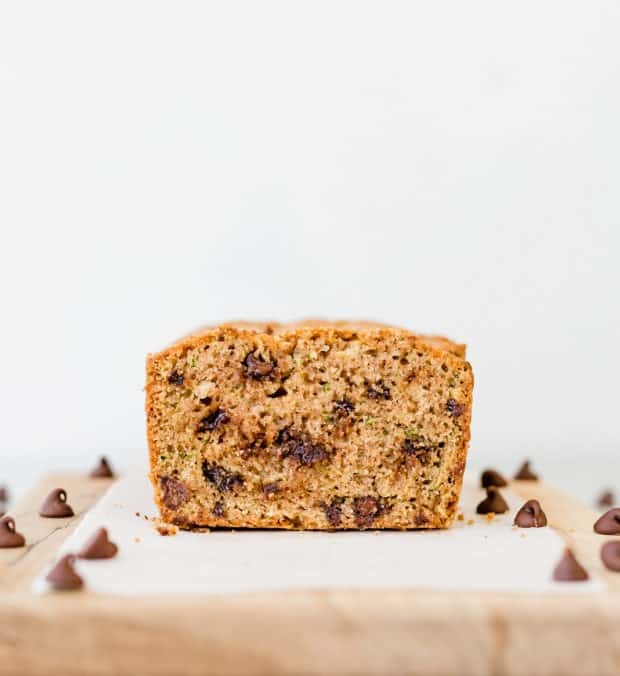 Super moist Chocolate Chip Zucchini Bread loaded with freshly grated zucchini and chocolate chips! Butter and flour 2 loaf pans (about or 9"x5”)*. Preheat oven to 350°F. 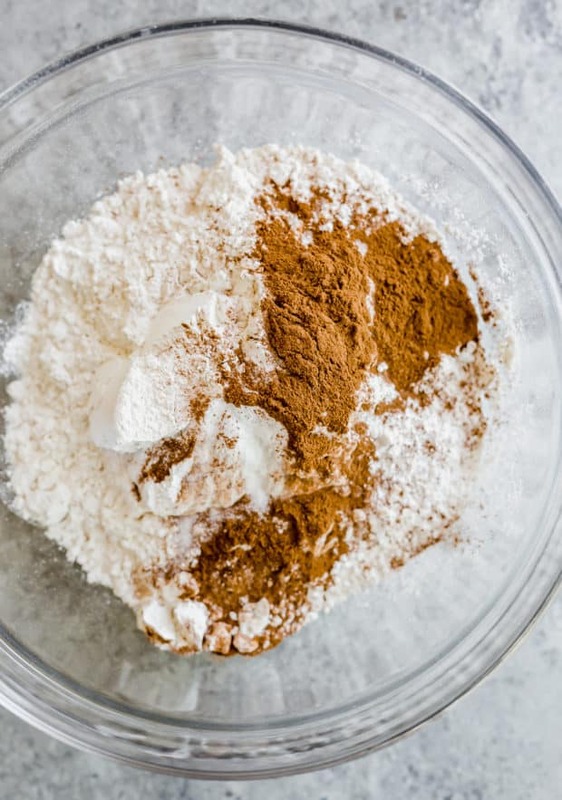 In a medium size bowl combine flour, salt, baking soda, baking powder, cinnamon. Whisk to combine. Set aside. Mix eggs, sugar, zucchini, oil, and vanilla until well blended. Add the dry ingredients to the wet ingredients. 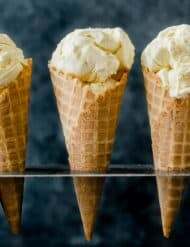 Using a large spoon or spatula, mix until combined. In a small bowl add the chocolate chips and 1 T. flour. Toss until flour is coating the chocolate chips. 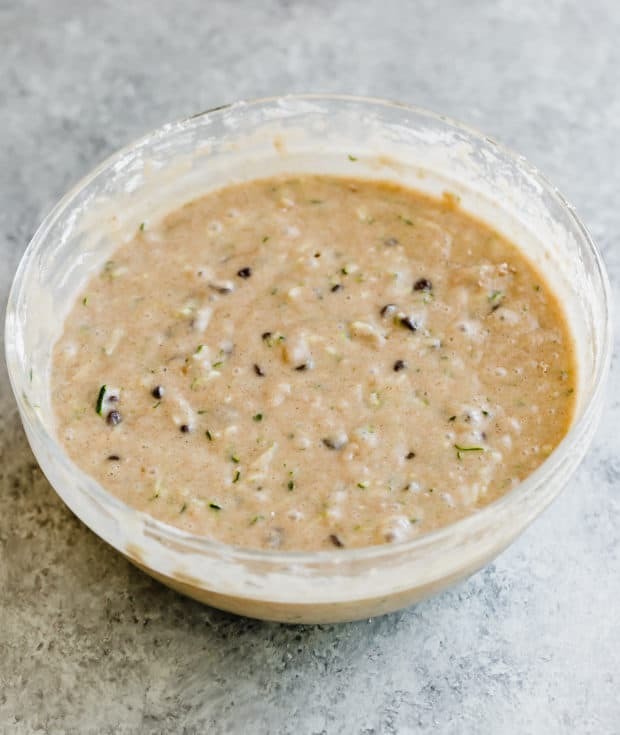 Add the chocolate chips to the zucchini bread batter. Fold to combine. Place batter in the two loaf pans. Bake for 60 minutes. Check around 55 minutes to make sure you won’t overbake the bread. Remove from the oven. 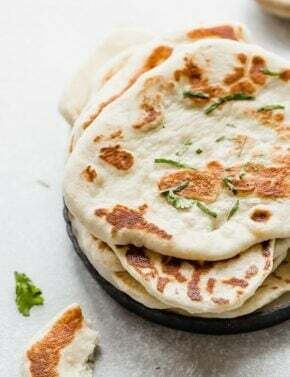 Let cool in pan for 10 minutes then remove from the bread pans and let sit on a cooling rack to cool completely. *I also use Bakers Spray and lightly spray the bread pans after buttering and flouring the pans. Not necessary, but I love how EASY it makes removing the bread from the loaf pans. I love zucchini bread! Looks so moist and delicious! Thanks Natalie! Zucchini is a favorite of ours! I love zucchini bread! 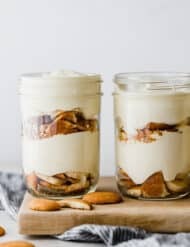 Looks so delicious and so easy to make! 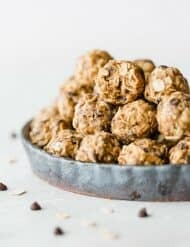 Such a great healthy treat! This looks absolutely delicious. Growing up my mom had a small garden where zucchini would be a star plant. And let me tell you. . .her zucchini used to thrive because she always ended up with more zucchini than she knew what to do with (this was before zoodles were a thing!!!). So she would whip out the bread pans & make loaf after loaf of zucchini nut bread. Loving your addition of the chocolate chips. Wish mom would have thought of that. There are no eggs in your ingredient list, but there are in the instructions – just FYI ? It’s 3 eggs. Thanks for letting me know! I went in and changed it. Hi Sherry! Thanks for bringing that to my attention. It’s 3 eggs! I went in and changed it. Thanks. Sorry about that! It’s 3 eggs. I went in and changed it. Thanks! Hi! I made this today and noticed the # of eggs is missing from the ingredients list, so I went with 3… hopefully my guess was Ok! Thanks! Kirsten, you guessed right! 3 eggs.